These days, everyone is considered a foodie. 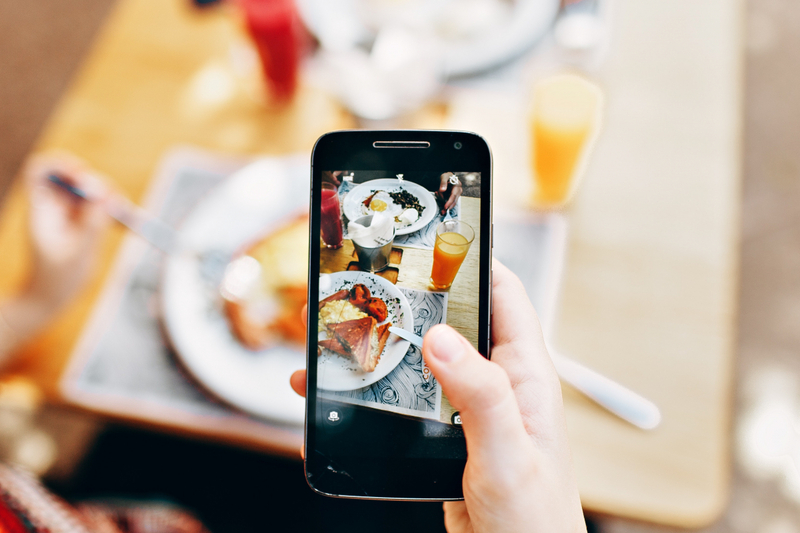 Smartphones and cameras are snapping away before we even have our forks ups — “The camera eats first!” — but some definitely do it better than others. With incredible lighting, angles, props and top shots that feed our eyes to no end, here are the top 10 foodies based in Hong Kong to follow for satisfying your hunger for amazing food photos. We da BREST *DJ Khalid voice* !!! This is Voyages by @alainducasse’s peanut Macau x Paris-Brest and key lime pie. Run by Nicole Fung, this popular account is jam-packed with high-quality photographs of the most mouthwatering food in town. Hip-hop lyrics and references form the basis of her lexicon, making it one of the coolest food accounts to follow in Hong Kong. Covering food and travel in her photographs, Melissa’s shots are bright and intense, showing the finer details of each dish she eats. If you’re looking to see close-ups of incredible food, you’ll find them here — and no doubt they’ll make you hungry every time. With wild colours in an assortment of styles and placements, Yan’s food shots are great to look at, with the frame brimming full of food. Guaranteed to make your stomach rumble, it looks as though she’s constantly at a good buffet — what a life! It turns out that Anthony Clark is a fit foodie. As he revealed to us in a Prestige Online interview, he dines at some of Hong Kong’s best restaurants, reviews them honestly and then hits the gym in order to burn off all those calories. Saii’s account is for those that enjoy a little more than food. He documents not only the delicious dishes he encounters, but also the fun places he’s travelled. You’ll also often see an action shot or two with hand, chopstick, fork or spoon in his shots. Michelle is a Canadian-born foodie who is now based in Hong Kong. Her account is full of incredible close-ups of food as well as shots of herself out and about in the city. You’ll also find photos of her holding food (with perfect manicure) while flashing her signature smile, too. A Malaysian living in Hong Kong, Jeff frequently travels all around to capture moments including food, coffee, scenery and design. His aesthetics are extremely pleasing to the eye, with an almost monochromatic look to his photos, with pops of colour bursting through. Another one that looks like she uses an analogue camera and film is HK Food Blog. Her style is clean and she always seems to have the perfect angle on food. From fine-dining to street food, you’ll find some seriously good shots that not only will make you hungry, but feel inspired to shoot your own photos, too. It’s no wonder that Gloria’s Instagram looks so good as she also happens to be a food stylist. Taking us around the world with her travels, her food shots often make use of natural sunlight and materials, making way for a positively bright account to follow. On the moody side of Instagram is Phoenix’s account, which highlights food in a different light, a darker one. As if perpetually wearing sunglasses, the snapshots seem more mysterious and forever in the shadows, until food enters the frame and brightens it all up. Just like real life.